Team Community Service : Delano R Hill & Associates Inc.
Marvin McCoy Brock (Coy) is involved in a number of community activities. Coy has been involved with the Local Rotary Club since 2001. He has served as secretary to the club from 2002-2011. Coy was awarded the "Rotarian of the Year" for both Area 7 and the local club for 2004-2005 Rotary Year. Coy has served as President of the Rotary Club of Mount Olive 2012-13 year and 2016-17 year. Coy has served as Chairman of the Board of Commissioners of the Mount Olive Housing Authority 2012 - June 2017. This service provides affordable housing for the elderly and low income residents in the Mount Oive area. He is also a member of a string band where he plays the Mandolin and the Keyboard. 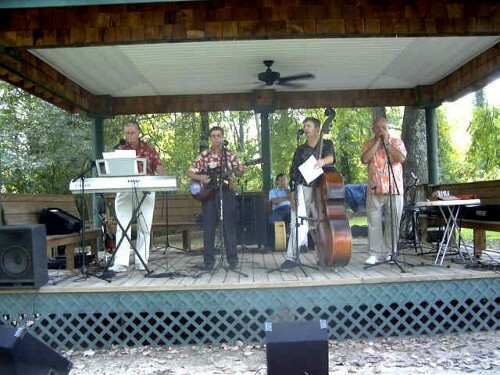 This group provides entertainment at many community, church, and senior functions. Coy has been involved with music since the age of 12. Coy is also the secretary for the local Oak Ridge Community Center and has been in that capacity for over 15 years. 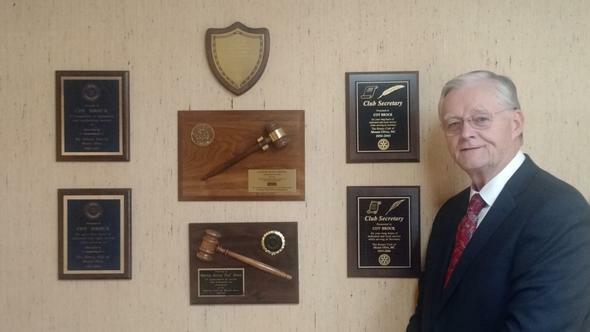 He has also served in the past as President of the local Kiwanis Club and the Local National Association of Life Underwriters. Laura Hill Strickland is currently a member of the Wayne County Library Advisory Board. She has been a member of the Mount Olive Jaycees and the Wayne-Duplin County Business and Professional Women's Club. She also served on the North Carolina Pickle Festival Committee and served as co-chairwoman of the 1997 Pickle Festival. Laura has also served on the Friends of Steele Memorial Library as the Treasurer. In 1998, Laura was chosen as the Mount Olive Jaycees' Distinguished Service Award winner. This award recognizes an individual's service to the community. Currently, Laura attends Mount Olive Presbyterian Church where she serves as an instructor at their LOGOS children program. In her spare time, Laura enjoys reading, traveling, scrapbooking, and spending time with her family. Both are active in the two business’ Delano R. Hill & Associates, Inc. and Team Financial Resources, Inc.
Robin Best, Executive Assistant, joined our team in January 2004. Robin works with administrative duties in the area of Life Insurance, Investments and Qualified Plans. She assists in the ever growing area of paperwork and compliance in securities and life insurance that Team Financial Resources, Inc. provides for their clients. Prior to joining our team, Robin worked in the Property & Casualty insurance industry for over 10 years. She has been a member of the Wayne County Association of Insurance Women where she is a past president and earned her CPIW (Certified Professional Insurance Woman) designation in the late 1980’s. She has been a member of the Advisory Council for her local school and has served as an officer of the local youth sport association. In college, she received an Associate Degree in Computer Programming.